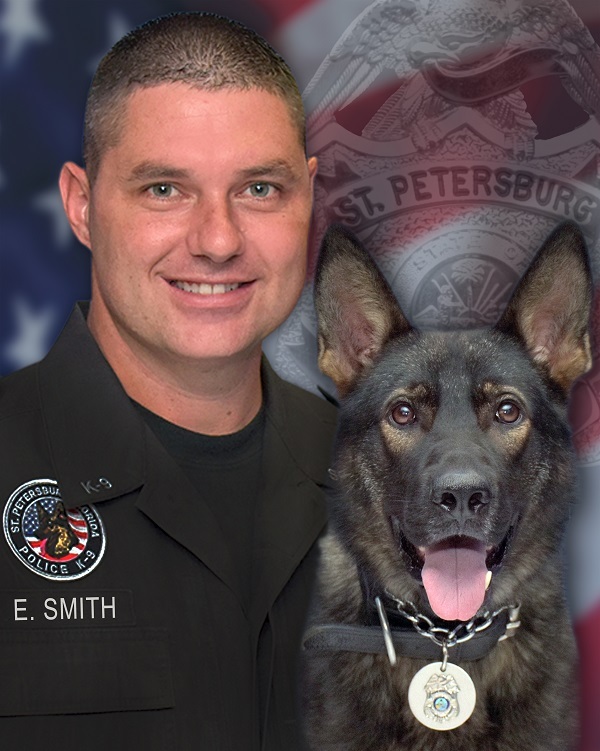 The nine vests are a gift from local sponsors and the nonprofit organization Vested Interest in K9s, Inc.
ST. PETERSBURG – This city’s police dogs will soon have extra protection against injury when tangling with bad guys. 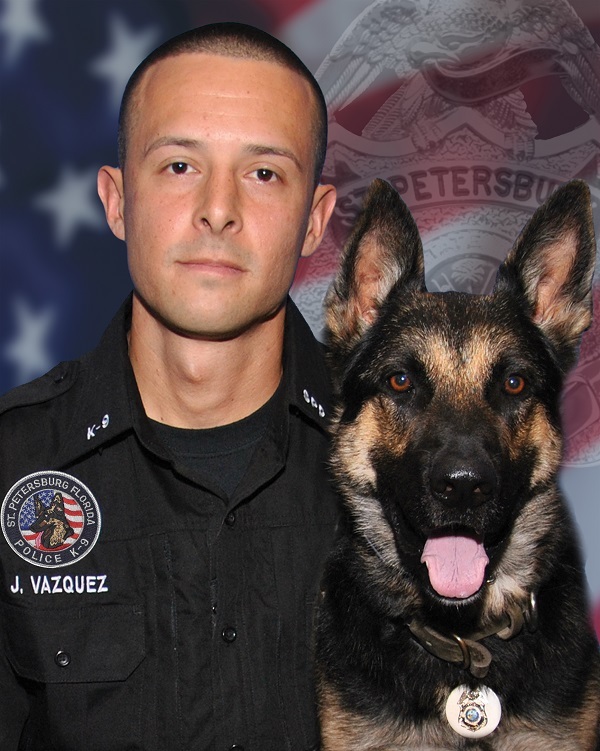 assistance to dogs of law enforcement and related agencies throughout the U.S. The donation is made possible through local sponsors. Delivery of the vests is expected in 8 to 10 weeks. 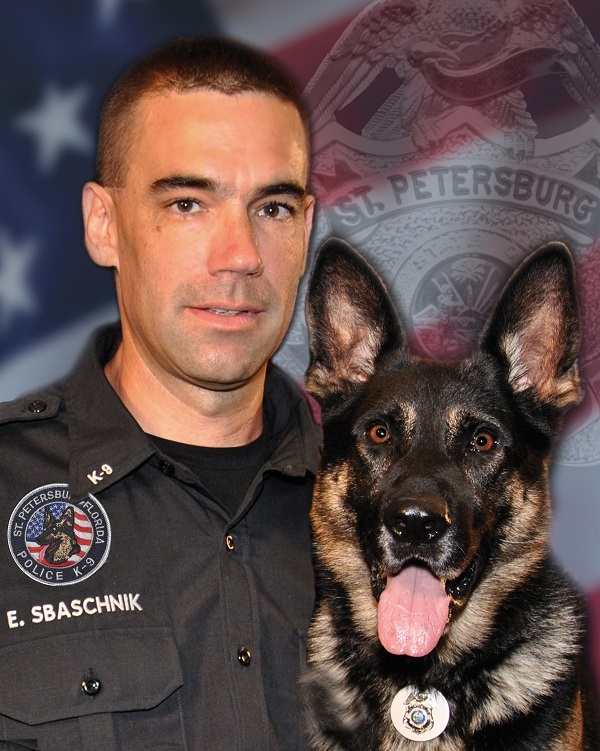 “The vests will give us peace of mind in high risk situations, knowing the K9’s will be protected,” St. Petersburg police K9 trainer, Officer Jeremy Krzysiak, said. 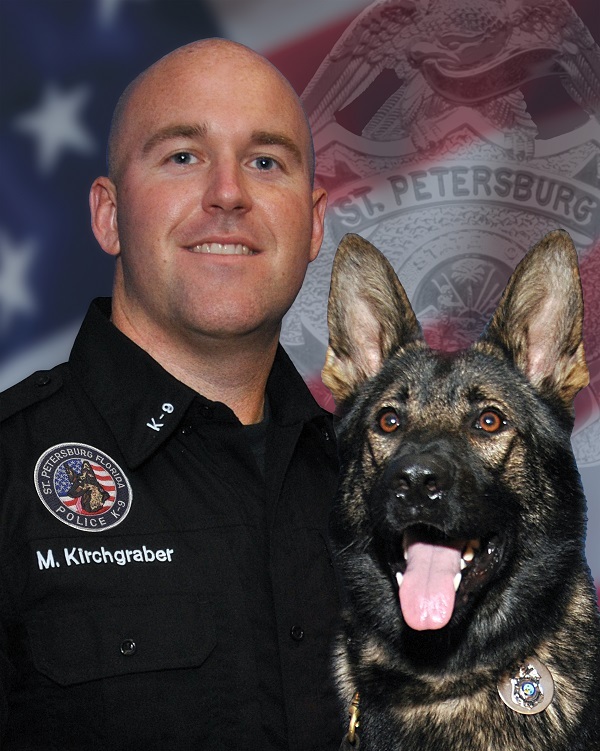 Vested Interest in K9s was established in 2009 to help law enforcement agencies with this potentially lifesaving body armor for their four-legged K9 officers. 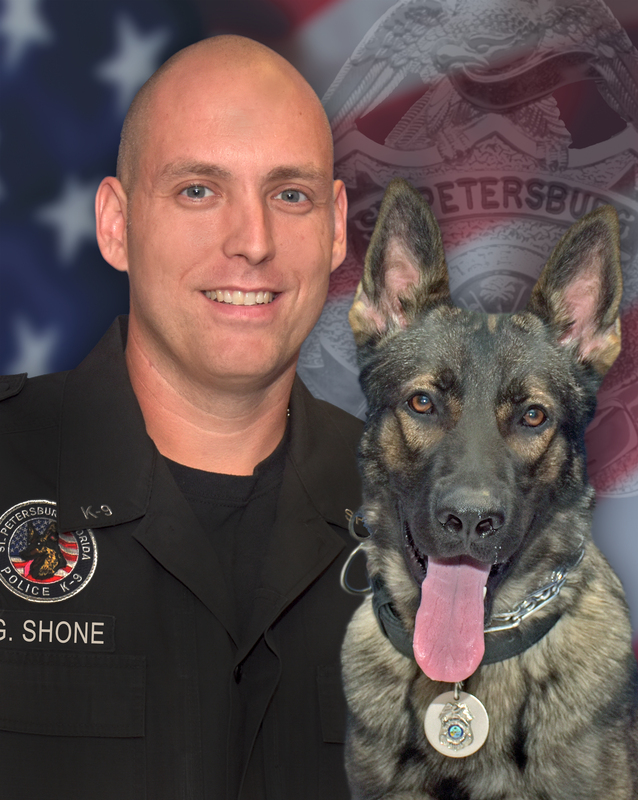 Since its inception, Vested Interest in K9s, Inc.provided more than 2,400 protective vests, in 50 states, through private and corporate donations, at a cost of more than $1.9 million dollars. All vests are custom made in the U.S. by Armor Express in Central Lake, MI. 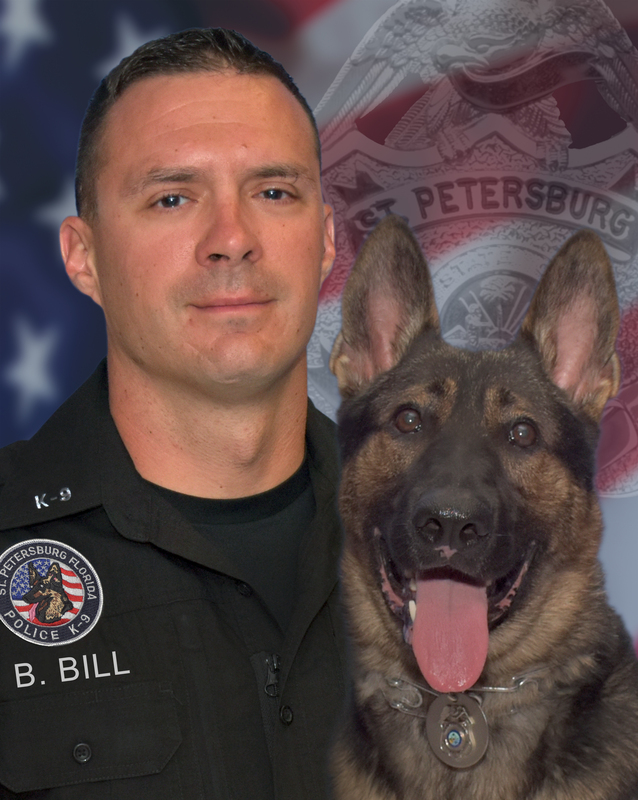 The donation to provide one protective vest for a law enforcement K9 is $1,050.00. Each vest has a value between $1,795 and $2,234, a five-year warranty, and an average weight of 4-5 lbs. There are an estimated 30,000 law enforcement K9s throughout the U.S.
For information or to learn about volunteer opportunities, call Vested Interest at (508) 824-6978. 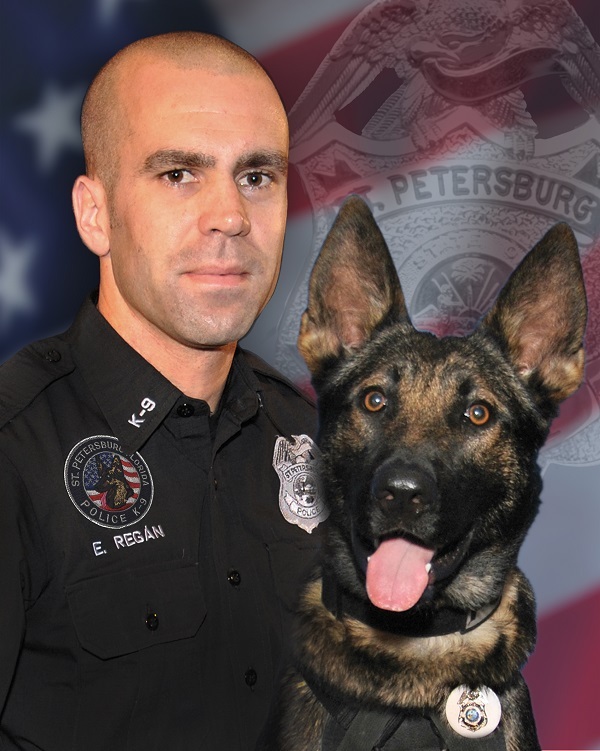 To donate to Vested Interest in K9s, go to vik9s.org or mail it to P.O. Box 9 East Taunton, MA 02718. 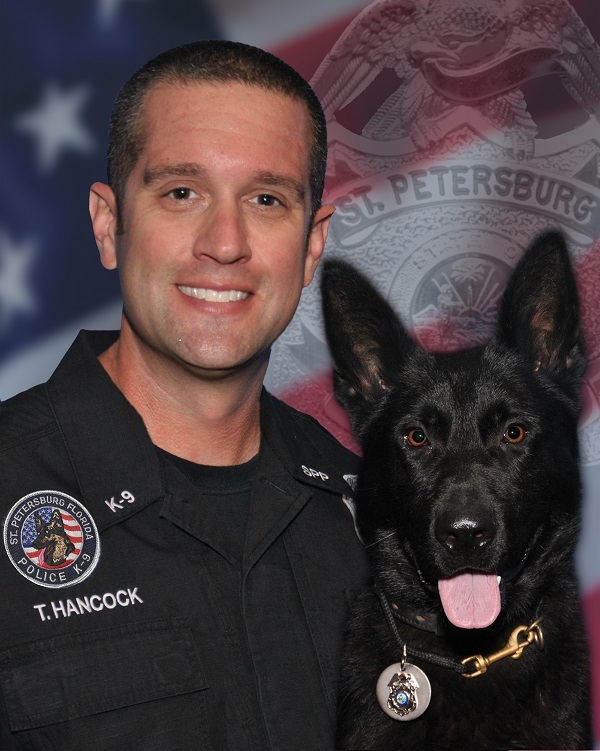 For information about the St. Petersburg Police Department’s K9 unit, go to police.stpete.org. 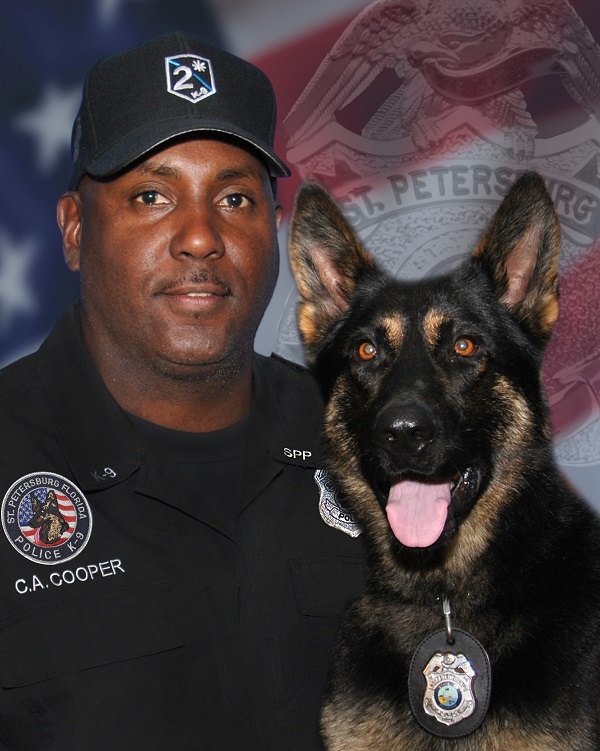 Photos courtesy of the St. Petersburg Police Department.